Few writers have brought more of their life into their works than famed playwright Thomas Lanier “Tennessee” Williams III. His characters have often served as proxies for himself, his mother, and especially his tragically unstable sister, Rose, who many consider to be the inspiration for Williams’s iconic female leads Blanche DuBois and Laura Wingfield. 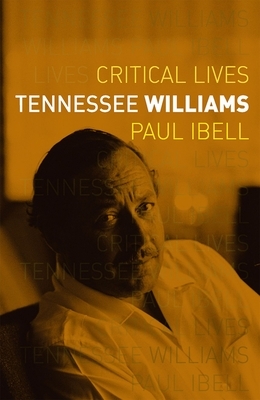 In this gripping new biography, Paul Ibell looks at Williams as a poet, playwright, brother, homosexual, alcoholic, drug addict, and, ultimately, a deeply passionate soul whose operatically intense plays were a vibrant reflection of life. Ibell discusses Williams’s early plays that have become household names: The Glass Menagerie, A Streetcar Named Desire, and Cat on a Hot Tin Roof. But he also rescues Williams’s later works from critical obscurity, uncovering overlooked values in them. He explores the importance of Europe on the Southerner’s imagination, following Williams and his companion—Gore Vidal—through holiday after holiday in Italy; and he looks, especially, at the theme for which Williams became most known: the power of sexual attraction and the tragedy of its loss when we—as we all must do—grow old. Punchy, accessible, and fabulously illuminating, this critical biography is a must-read for any admirer of American theater, literature, or the passionate lives of those who define them. "This biography will interest people who’ve read previous treatments, because few of us have read them all. . . . This latest rendition is bound to tell you things you didn’t know or have forgotten. . . . Ibell's book is full of interesting details like these. And biography is in the details. Plus, the photographs are marvelous."